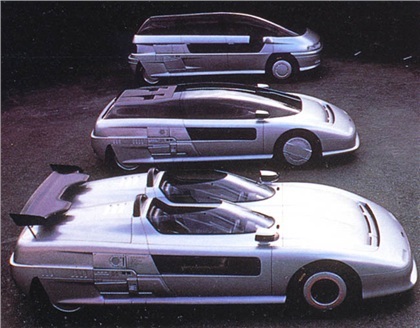 Classic Cars Talks: Italdesign Aztec on Ebay! I remember seeing the Aztec at the Turin Motor Show back in 1988. Admittedly I've never been a big fan of its shapes but I've always seen it as a statement more than a work of art. Designed to celebrate the 20th Anniversary of Giugiaro house (then Italdesign), the design is a modular base for three different coach styles being Asgard, Aspid and Aztec, respectively a people carrier, a sort of shooting brake and an innovative barchetta. Sketches demonstrate that the designer has been fantasising about a dual cockpit barchetta since the late fifties but only managed to finally materialise his view in this daring vehicle. Two streamlined open canopies wrap around driver and passenger that can communicate via a headset and microphone. 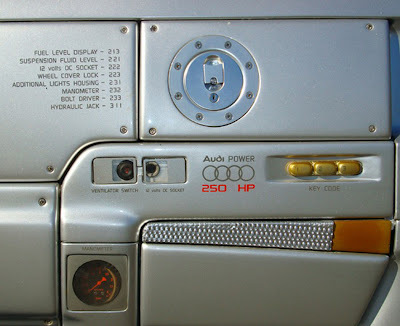 This is only one of the gizmos that were included in the design, most notably some futuristic control panels on the flares that should have controlled various services via three digit codes. 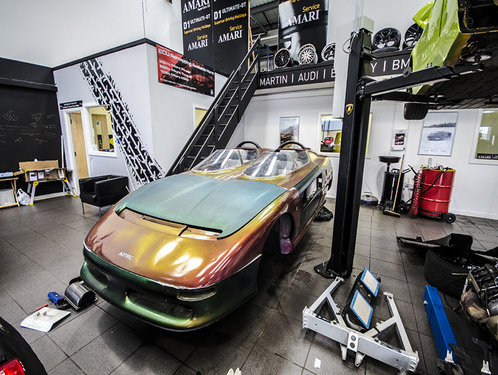 For the power unit they opted for the rally and pikes peak champion Audi 5 cylinder spiced up by a turbo, connected to the notorious Lancia Delta Integrale 4WD distribution. 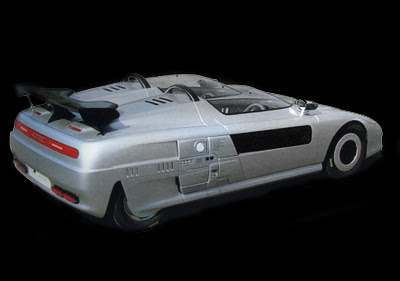 The car was supposed to be only a stepstone but Japanese firm Compakt decided to start a production line for 250 cars. It is unclear how many were actually produced, some say 50, some 25 and some others only 18. All the gizmos were dropped with the exception of the inboard communication system but very few details were changed from the original prototypes, most notably the tail lights. The first production car performed some demonstrative laps at the 1992 Monaco Grand Prix and featured in an Industrial design exhibition at the Musée Georges Pompidou in Paris. I have to admit it did hurt to find one in such bad state for sale on Ebay. This car was allegedly found in very poor state in a barn with the engine seized. I don't understand the choice of upgrading the engine from the 2.2 Turbo to a newer 3.7 for this will seriously affect the originality of the vehicle and sure I hope the new owner will return the paint to the original silver. On the bright side the sale includes the original moulds for the fiberglass body panels, supporting the thesis that this chassis numbered 18 is actually the last ever made. The price tag when new was a whopping £750.000 and apparently a good example traded hands in the past years for £250.000. Coy's estimate for an almost complete un-numbered and incomplete black Aztec in 2010 was €45000 - €55000. The auction starts at £15.000 and I hope to see some bidding auction to discover where the reserve has been placed. Click HERE to follow the Auction.